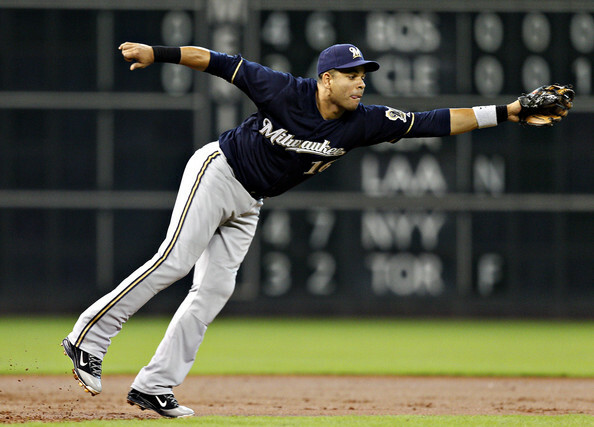 Well, it turns out that the Brewers were interested in making an August trade. According to Brewers beat reporter Adam McCalvy and MLB Trade Rumors, the Brewers had been interested in left-handed reliever Mike Gonzalez of the Orioles. The Rangers wound up acquiring Gonzalez, however. Gonzalez put up solid numbers for the O’s this season, going 2-2 with a 4.27 ERA in 49 games (46 1/3 innings). I guess those aren’t great numbers for a reliever, but he was an assassin against left-handed hitters, holding them to a .211 average. But, righties have gotten some good swings off him, as they’re hitting .300 against Gonzalez. The Brewers having been looking for a decent lefty out of the bullpen for quite sometime, but continue to come up empty. They were hoping to have three lefties in the ‘pen on opening day- Zach Braddock, Mitch Stetter, and Manny Parra. Parra pretty much immediately went down right when Spring Training started, and has been dealing with shoulder and back issues since. He won’t be pitching again this season due to a screw replacement in his elbow, but should be ready by Spring Training of 2012. Stetter was in the bullpen for the first part of the season, but he eventually went down with a hip injury that he’s struggled to come back from (probably because of his submarine delivery). He also recently underwent season-ending surgery. Then, there’s Braddock, but there are tons of question marks surrounding his situation. He dealt with a sleep disorder earlier this season that was based from a social anxiety disorder (similar to that of Zack Greinke’s), and that disorder would lead to two stints on the DL. When he returned from the second stint, he was just straight-up ineffective and couldn’t get anyone out. Braddock was then sent down because he was dealing with some personal issues, but assistant GM Gord Ash refused to talk about what they were. I don’t know if it has to do with his disorder or what, but I doubt he’ll be back in the Majors anytime soon. And that’s unfortunate, because I see a lot of talent in his arm.